Caring.com has helped thousands of families find high-quality senior care. To speak with one of our Family Advisors about memory care options and costs in Polk County, call (855) 863-8283. Located in northwest Minnesota, Polk County is an agriculturally-based community with a population of around 31,600. Of these residents, 17.7 percent are aged 65 and older and could be living with some form of dementia, a condition affecting approximately 94,000 seniors across the state of Minnesota. To address this growing demographic, the Minnesota Board on Aging has a State Plan in place, stressing the importance of providing specialized care for these seniors. Such treatment is offered at memory care facilities, two of which are currently available in Polk County and are commonly known as Special Care Units (SCUs). With low costs for housing, health and transportation, Polk County is a good option for seniors on a limited budget. 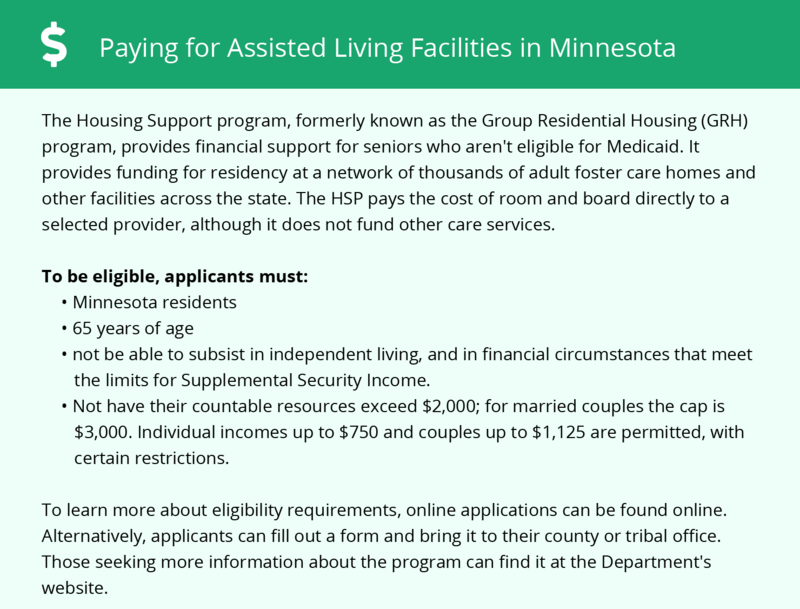 Based on the U.S. average of 100, the county's overall cost of living is rated 87, which is significantly lower than the Minnesota state average of 106 and could allow seniors to put aside more funds toward memory care services. Even in a state known for its cold winters, conditions in Polk County are particularly unfavorable. The area expects an average 38 inches of snow yearly, and temperatures can drop as low as -4 degrees. In fact, the county's overall Sperling's Comfort Index score is just 29 out of 100, with 100 representing the most pleasant weather. It's recommended that families ensure that a prospective SCU has proper measures in place to prevent senior residents from exposure to these harsh conditions. Polk County is home to world-class medical facilities, including those specializing in brain health and dementia care, such as RiverView Health and Essentia Health-Fosston, in the event of medical emergencies or illness. On a scale to 100, with 100 considered high crime, Polk County scores a 35.2 for violent crime and a 35 in terms of property crime. These scores are similar to national averages of 31.1 and 38.1 in the same categories, respectively. When touring an SCU, consider asking about the security policies and procedures the facility has in place to safeguard its residents. Memory Care costs in Polk County start around $0 per month on average, while the nationwide average cost of memory care is $4,753 per month. It’s important to note that memory care rates in Polk County and the surrounding suburbs can vary widely based on factors such as location, the level of care needed, apartment size and the types of amenities offered at each community. Polk County and the surrounding area are home to numerous government agencies and non-profit organizations offering help for seniors searching for or currently residing in an assisted living community. These organizations can also provide assistance in a number of other eldercare services such as geriatric care management, elder law advice, estate planning, finding home care and health and wellness programs. To see a list of free memory care resources in Polk County, please visit our Assisted Living in Minnesota page. 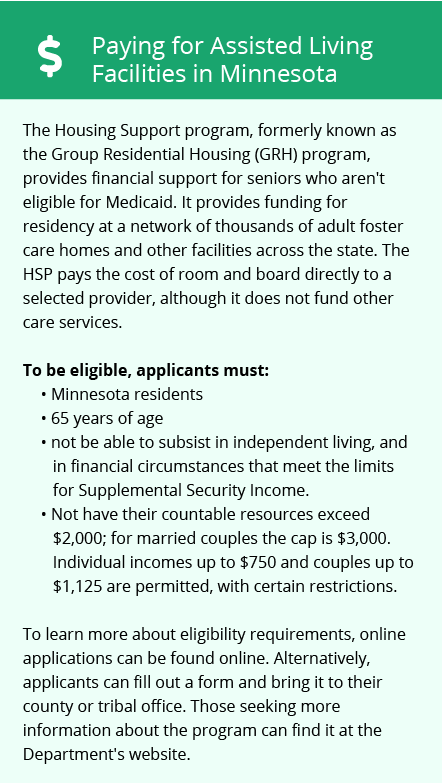 Polk County-area assisted living communities must adhere to the comprehensive set of state laws and regulations that all assisted living communities in Minnesota are required to follow. Visit our Memory Care in Minnesota page for more information about these laws.